With the support of our reliable vendor base, we are able to offer cost effective and quality range of Floor Pads. These are mainly used in hotels, restaurants and households for cleaning, burnishing, stripping, scrubbing and various other purposes. Manufactured using high grade raw material, our range is ideal to be used with cleaning solutions. Leveraging on our expertise, we offer Floor Pads. These are known for helping in superior performance in buffing, cleaning, spray cleaning, burnishing, scrubbing and stripping. Made using high quality raw material, these are specifically manufactured in order to meet global quality standards. Moreover, these pads are highly effective because of advanced technology and innovation used in their production. 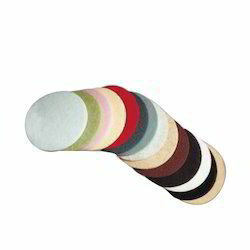 Looking for Floor Pads ?